Little is known about Masakre's current whereabouts, but he's remembered as an excellent wrestler of the 80s. Masakre was a polite man out of the ring, but a rudo in it. Masakre was a vital part of Los Intocables as well as Los Infernales. His career didn't start because he loved lucha libre, but because he was looking for a way to get in shape. 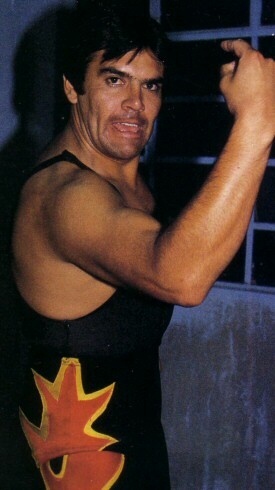 At the beginning of his career, Masakre was also working as a fireman, but dropped that occupation as lucha grew on him. Was CMLL booker from late 1993 until late 1994. This page was last edited on 19 September 2018, at 16:44.